Real Madrid are reportedly interested in potentially signing Fulham wonderkid Ryan Sessegnon, a player they estimate would cost around £27million. 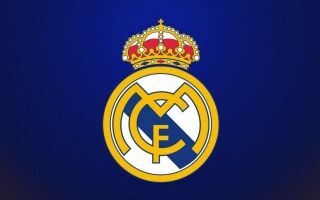 Spanish outlet Diario Gol list the 18-year-old as among the players Madrid are looking at as they look to majorly rebuild their squad and perhaps bring in some top young talent for the future. Don Balon recently linked Sessegnon with Manchester United and other top Premier League clubs, and he does seem an ideal player for the Red Devils. Capable of playing left-back or midfield, Sessegnon is a pacey, direct and skilful young English talent who’d be very much in the United tradition. However, it seems Madrid want him as well, and one imagines that would be a very hard move to turn down, especially with United not at their best. MUFC have gone backwards in recent times and perhaps don’t seem the ideal step up for a talented teenager looking for his next move. Sessegnon would not be guaranteed playing time or development under Jose Mourinho, and quite likely wouldn’t even get the chance to add to his trophy collection from the comfort of the bench as the club look some way behind their rivals right now.